Jive didn’t jive with you? Here’s what to expect if you want to cancel your business phone service from Jive Communications. 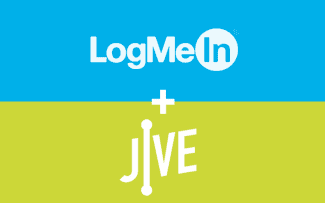 Jive offers month-to-month plans and multi-year contracted plans. If you want to add, subtract, or move users or a location, they will be happy to do so without making any changes to your contract. In the case of month-to-month contracts, the yearly pricing contract guarantees that your service rate per user will not increase, unless Jive provides you with a 30-day notice before the annual renewal date. In the case of multi-year contracted plans, the contract begins on the first day that Jive activates your services, not when you receive your equipment. If you want to add users or a location, they will be happy to do so. Adding or subtracting users does not interrupt your pricing contract. When you get your equipment from Jive, the title of ownership is transferred to you as soon as the equipment ships; however, Jive will service the manufacturer warranty for one year, which covers all hardware defects. If you return purchased equipment after the 5th full business day following delivery, a 30% restocking fee will apply. Finally, Jive also reserves the right to cancel your contract and bill you for all outstanding charges through the end of the current service month if they find out that you are doing anything illegal, using their service to threaten others, or any similar behavior.